Spans one month. Flexible timing. You enter the start date, deadline, completion date, and requested hours. 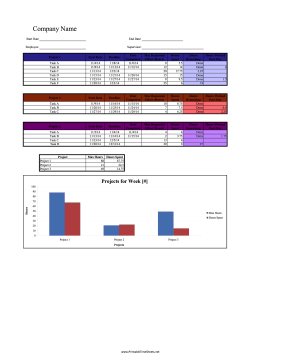 Automatically calculates the actual and ideal hours spent on up to three projects.